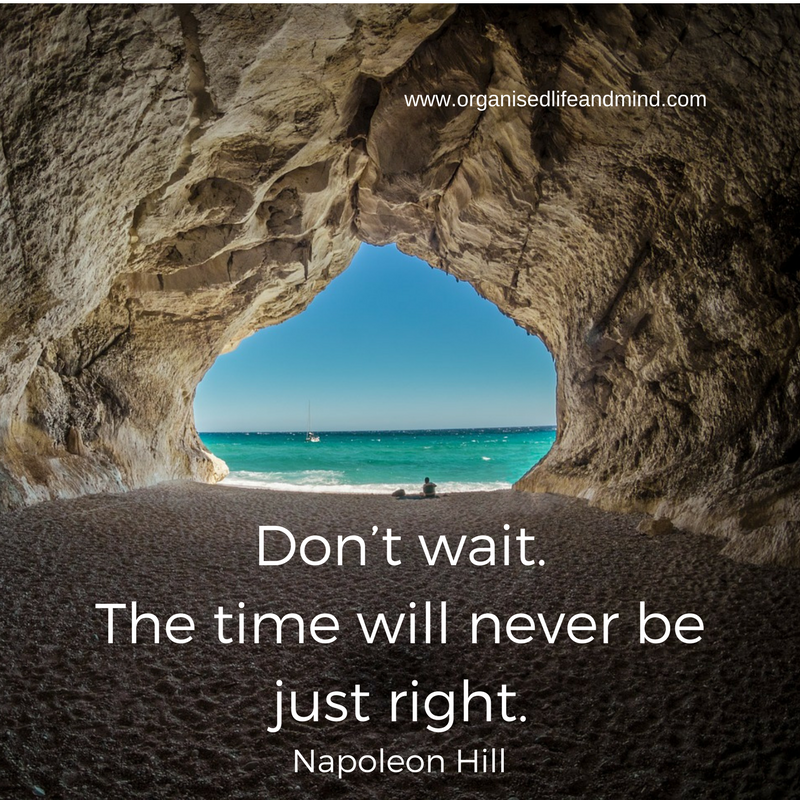 How often have you told yourself to just wait. That special outfit you bought, your grandma’s china, the cruise across the islands. Today is not the right time to wear it, use it or travel there. We wait until we have the money to pay for it. We wait until we have time. We wait for the perfect moment. So often, these are just excuses. We can’t justify dressing up because it’s only Wednesday. It’s just us having dinner at home. We don’t have enough time off from work to go on that overseas trip. Over time, these excuses pile up and our desire and dreams seem to become unattainable. It’s almost as if we put them on the pedestal, just because today is not the right day. Nike’s slogan is “Just do it” and there’s so much truth and action behind it. Move the excuses aside and take the first step. Whether this is setting up a savings account and transferring the first 100 dirhams (25 Dollars or Euros) for your holiday or making the appointment for your tennis lesson, start. We never know how much time we have. Tomorrow, we may no longer be on the planet. The relationship may be broken off, the job may be loss. While I don’t wish any of these to anyone, we never know what will happen and when. 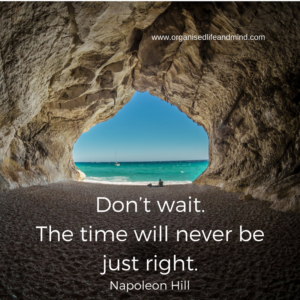 Why not make your time now?! The movie “Dead Poets Society”, one of my favourites when growing up, introduced me to “Carpe Diem” (seize the day). 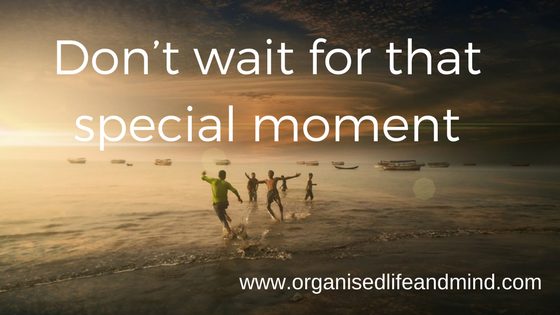 Use each day and create your special moments. For me, it took a long time to use my grandma’s china and crystal glasses. These days, there are only her glasses when pouring anything but water and juice. During one of the moves, one of her glasses broke and it felt like I was losing something from her. It’s only a glass and there are plenty left. It doesn’t reduce the many memories of my grandma. Quite the opposite! I’m thinking of her every time I’m using her china or glasses. 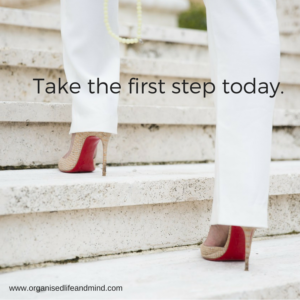 Welcome to Organised Life and Mind! Being German, organisation and efficiency is in my genes and I’m here to empower you to lead the life you’ve envisioned.